The Road Runners Club of America (RRCA) has picked the Mississippi Blues Marathon as the Southern Region Championship Marathon for 2013. This follows a competitive bidding process, and the blues guys won this year. So, if you’re looking to run in a marathon (or a half-marathon – they also have that) maybe the land of the blues is your destination. The Mississippi Blues Marathon (and Half Marathon) began in 2008. The 2013 race is on January 5th, 2013 in Jackson MS. Portions of the money raised support the Mississippi Blues Commission and its work to promote and preserve the history and tradition of Mississippi blues. Registration is still open, and there is a relay race, a wheelchair race, and a kids race too. There is actual prize money for the top few finishers in the races as well. 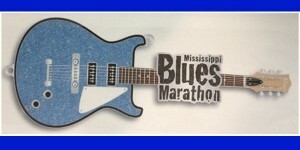 Find out more about the Mississippi Blues Marathon.